What a disappointment. I was very excited to read the conclusion of this long saga that began in The Power of the Dog, but now I wish the story had ended with the last book, The Cartel. Both previous instalments were tautly plotted and written. This is an over-long mess that you can't help but think would have been whipped into shape by an editor if this was not a big-name author. No matter whether you love or hate Donald Trump, the way he's clumsily dropped into this mess (using a fictional name but his actual tweets and speeches) makes the book even less enjoyable. Maybe the author thought people would be so happy to read an anti-Trump screed (but that makes reference to fictional crimes involving the cartels, so, er... what?) that they'd overlook the many failings of this book. 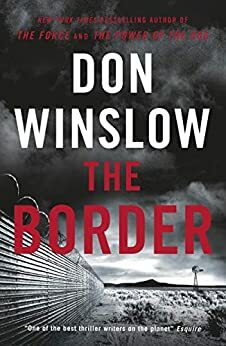 Every now and then the old Don Winslow magic is there. When he writes well, it's a sight to behold. It was nice catching up with some old characters from the first book. But that nostalgia isn't worth the price of admission here. If you've read the first two books, preserve your memories and leave this mess alone.